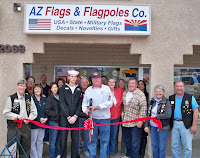 The Lake Havasu Area Chamber of Commerce Ambassadors held a ribbon cutting for AZ Flags and Flagpoles located at 2069 W. Acoma Blvd. 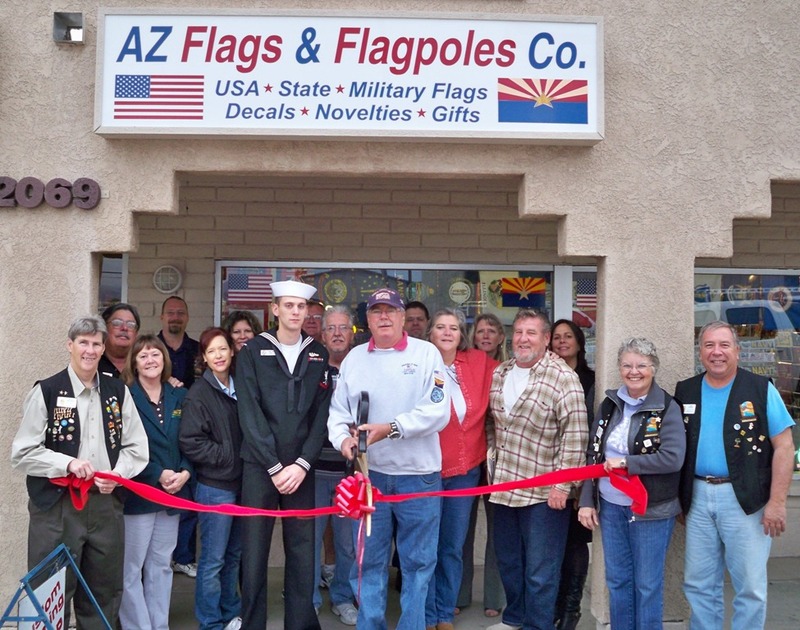 Celebrating 7 years in business AZ Flags and Flagpoles carries a full line of military, patriotic and civil service flags, pins, patches, decals, and numerous other items. Special guest Alexander Link, STS3, Navy graduate and son joined George and Christine Link, owners for the ribbon cutting. AZ Flags will also accept your retired old U.S. A. flags. The hours of operation are Monday through Saturday 9 a.m. to 4 p.m. and on Sunday at the Swap Meet. Call 854-1776 for more information.